More cake… Om Nom Nom! Is everyone familiar with this guy? 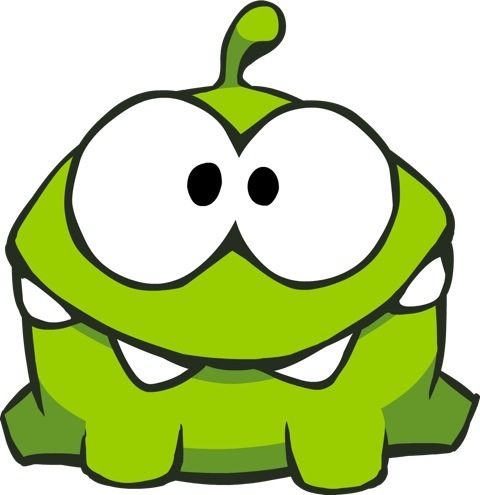 His name is Om Nom and he is the star of Cut The Rope. 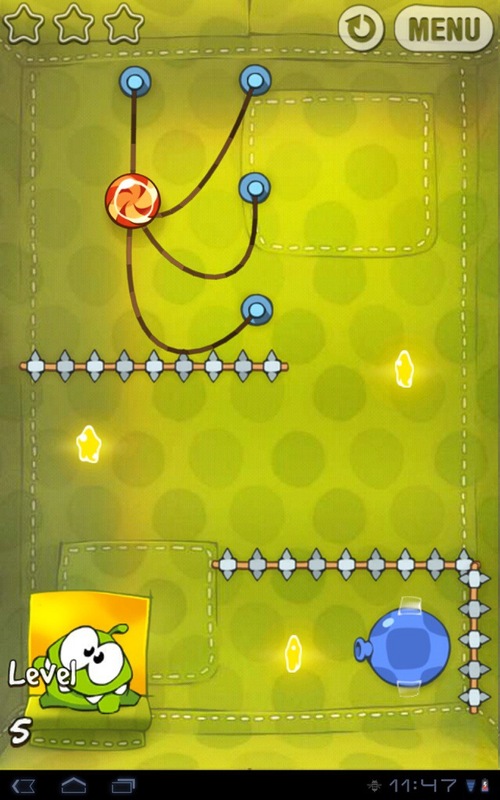 It’s a great physics based game for tablets and smart phones that involves various puzzles where the goal is to get a piece of candy into Om Nom’s mouth. As you progress through the levels it gets increasingly difficult and becomes extremely challenging. 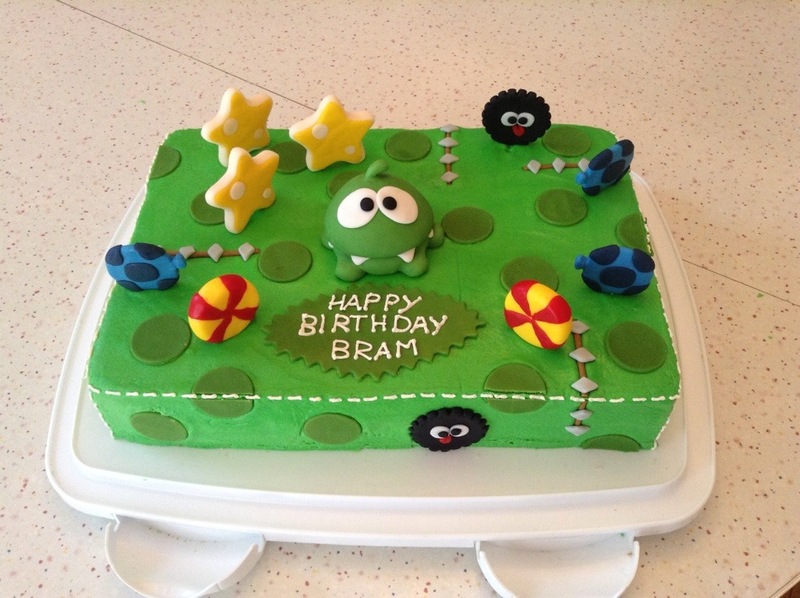 Om Nom is my youngest nephew’s favourite video game character and Cut The Rope was his request when I offered to make the cake for his 6th birthday party. I worked on all of the other elements a little bit each night so that everything was ready in time for the party. The cake was baked last night and frosted with buttercream this morning. Like the R2D2, making this cake was so much fun! What would your cake request be? 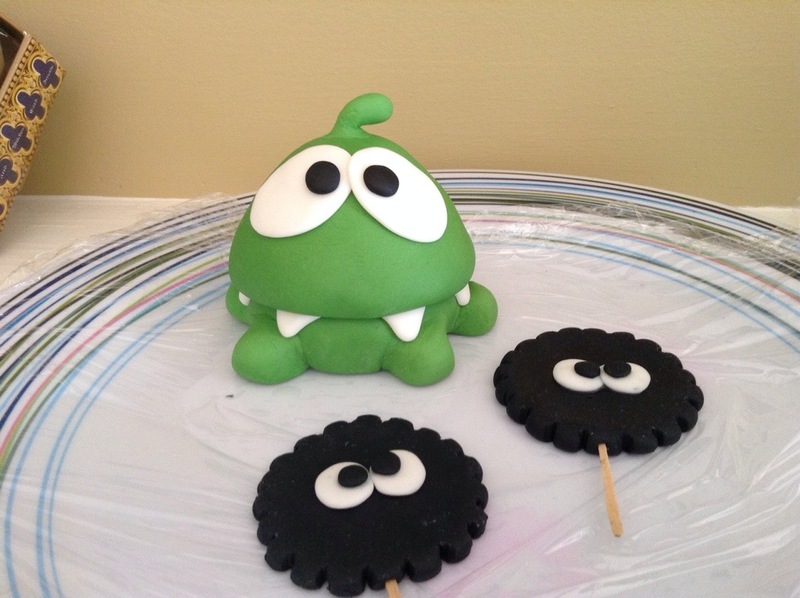 This entry was posted in Cakes, General and tagged Cake, cake decorating, Cut The Rope, Family, kids, Om Nom. Bookmark the permalink. Great work. Is the om nom all fondant, would you please tell me how you went about making it. Yes, Om Nom is all fondant. He was pretty simple to make… I used gel food colour to get the green I wanted and then rolled two equal sized balls. I flattened one like a thick pancake and cut out a bit in the front and sides to shape the legs and smoothed it all. I then lay white triangles on the front of this shape to be the teeth. I shaped the second ball of fondant into the bell shape and laid it on top to be the head (a little bit of water makes it stick). I added his little “comma” to the top of his head once everything else was in place. Thanks for reading! Nice work! I like chocolate cake with chocolate icing. NO FRUIT IN IT MOM! JESUS, EVERY YEAR WITH THE FRUIT!!?? Lol. Ah, man! Was she one of those moms who put fruit in Jello too?